OUR FIRM of New Orleans, Louisiana, is the latest evolution of a design firm founded in 1891 by Charles A. Favrot and L.A. Livaudais. The firm has changed names several times during the course of a century, but remains one of the oldest and consistently successful architectural firms in the country. 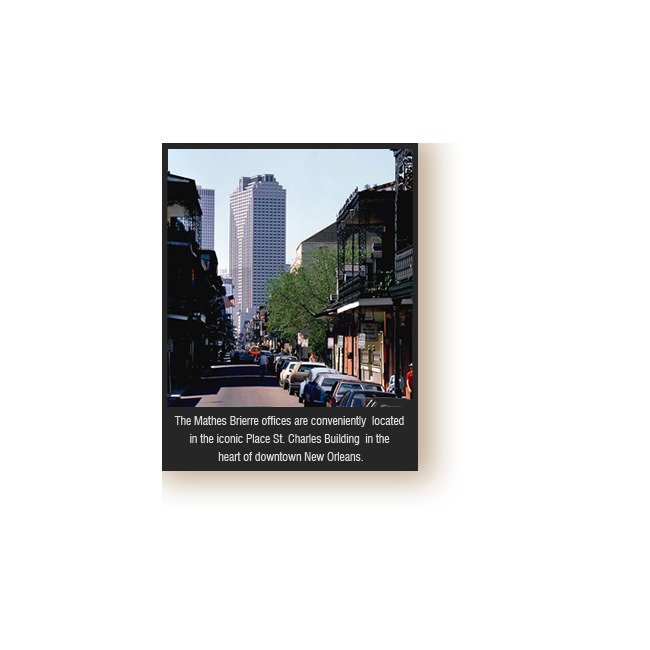 The company's present name, Mathes Brierre Architects, was adopted in 2001, under the leadership of Edward C. Mathes, AIA, Chairman, and Creed W. Brierre, FAIA, President. Our expertise is well grounded through the design of many building types over the years which include: music and performance arts facilities, public assembly buildings, medical facilities, corporate offices, high-rise residential buildings, and other examples of fine civic architecture. The firm continues to provide a full range of architectural services internationally from architecture and interior design to landscape architecture, master planning and construction administration.